180-gram vinyl. DMM (Direct Metal Mastering) Disc Cutting: Günter Pauler at Pauler Acoustics, Northeim, Germany; mastered by Bob Jones, pressed by Pallas, Diepholz. Joe Clays Rockabilly-Karriere war ungewöhnlich kurz! Im Verlauf von nur einem Monat im Frühjahr 1956 nahm er für Vik Records, ein Sub-Label von RCA, die Titel dieses Albums auf: wüster, wilder und unverfälschter Rockabilly. Obwohl er zu Gast in der prestigeträchtigen 'Ed Sullivan Show' im US-Fernsehen war, wurde keiner dieser Songs ein Hit, und seine Plattenfirma verlängerte den Vertrag nicht. Im Normalfall hätte der Karriereverlauf für kaum mehr als eine Fussnote in der Rock'n'Roll-Geschichte gereicht, wäre da nicht die außergewöhnliche Qualität der wenigen Aufnahmen des Joe Clay. Sixteen Chicks, Duck Tail, Slipping Out And Sneaking In gelten als zeitlose Meisterwerke des Genres. Die Originale erzielten in den frühen achtziger Jahren schwindelerregende Preise. 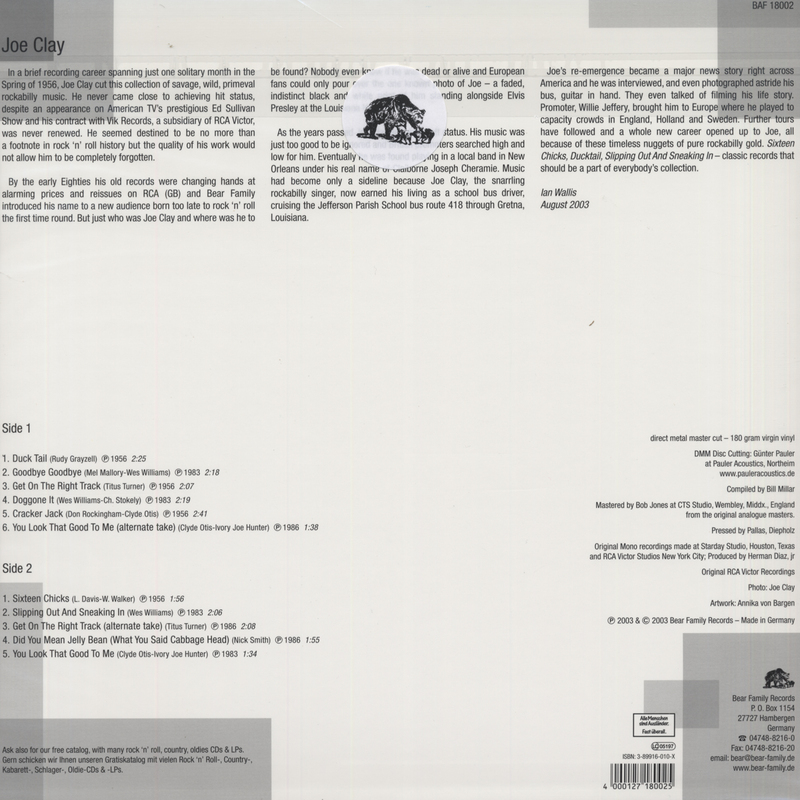 Mit dieser hochwertigen Vinyl-Edition präsentieren wir Rockabilly in seiner schlichtesten Form mit all der ursprünglichen Energie in der Interpretation von Joe Clay, dem Musiker mit Kultstatus, einer der zugleich überragenden und tragischen Figuren seiner Ära. Original-Aufnahmen der fünfziger und sechziger Jahre sind mittlerweile nahezu vollständig auf CD veröffentlicht. Trotz teils aufwändigem digitalen Mastering klingt das Ergebnis oft enttäuschend. Selbst herausragende CD-Editionen sind nicht zwangsläufig in der Lage, die Dynamik und schiere Kraft einer Schellack- bzw. Vinyl-Originalveröffentlichung wiederzugeben. Der hohe Qualitätsstandard einer audiophilen Vinyl-Ausgabe ermöglicht jedoch ein Klangbild, das der Originalausgabe sehr nahe kommt. Es ist unser Ziel, mit einer Serie handverlesener Aufnahmen auf hochwertigen Langspielplatten (180-Gramm Vinyl) Mono- und Stereo-Einspielungen in ihrer ursprünglichen Faszination und gleichzeitig entsprechend heutigen Standards wiederzugeben. Claiborne Joseph Cheramie was born in Harvey, Louisiana, part of the sprawling metropolis of New Orleans. His parents Nellie and Claiborne Snr. encouraged an early interest in country music and at the age of twelve he was already a competent drummer, later also learning rhythm guitar and electric bass. By the early fifties the C.J. Cheramie Trio were regulars on the now defunct Radio WWEZ out of New Orleans with a thirteen minute show every Saturday. This led to personal appearances within Louisiana and Cheramie had soon shortened and flip flopped his first and middle names to arrive at a stage alias more likely to attract attention in the surreal world of show business. During 1955 his local reputation enabled him to play the prestigious Louisiana Hayride out of Shreveport where he shared billing with the newly emerging Elvis Presley. 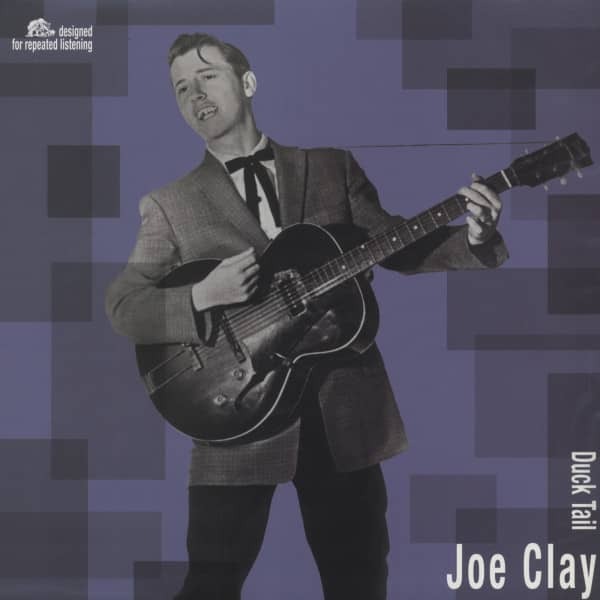 The whole world would soon discover Rock'n Roll and Joe Clay, an enthusiastic and ambitious teenager, was to be one of that very first generation of ist exponents. Within the next twelve months his career really started to take off and he played shows with Carl Perkins and Fats Domino and even filled in as a drummer for Elvis when he played Pontchartrain Amusement Park in New Orleans and D.J. Fontana could not make the gig. Early in 1956 a WWEZ Disc Jockey with the delightful name of Jolly Charlie received an approach from an agent for RCA Records who were on the lookout for regional acts to sign for their new subsidiary label VIK and Joe quickly submitted a demonstration tape that he cut at the radio station offices at the Jung Hotel on Canal Street. It comprised two country tunes and two rockers including a frenzied Shake, Rattle And Roll. RCA must have liked what they heard because Herman Diaz, Jr whisked Clay up to Houston and on April 25, 1956 accompanied by Link Davis and Hal Harris on guitars, lay down some wild rockabilly of sufficient quality to stand comparison with the very best. The record company picked out the Link Davis' song Sixteen Chicks and Joe's cover of Rudy Grayzell's Ducktails to be the first single which was released on VIK 0211. A month later Joe Clay was back in the studio again. This time RCA summond him to Headquarters in New York and four more songs were recorded at the Victor's studio 1, this time accompanied by a rhythm'n blues band fronted by Mickey Baker. His second and final single (VIK 0218) comprising Crackerjack and Get On The Right Track was culled from this session but RCA in their wisdom could find no use for the other tracks among them the amazingly titled Did You Mean Jelly Bean (What You Said Cabbage Head) which has remained a fascinating mystery until now. (Bear Family had made the other unissued titles available in 1983). 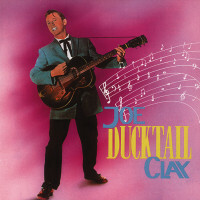 Although far from achieving hit status Joe Clay's contribution to the world of Rockabilly had attracted enough attention for him to obtain a booking on the Ed Sullivan Show as support for Nat King Cole. He was originally lined up to perform Ducktails but the shows producers no doubt still mindful of the national furore caused by Presley's early television appearances became nervous of further controversy. Joe ended up switching to the more restrained Only You which was felt more palatable for the mass American public. The RCA contract was not renewed and having played his small part in Rock'n Roll history Joe returned to New Orleans and became C.J. Cheramie again. The name of Joe Clay dissolved into a memory and the C.J. Cheramie Trio supplemented their day jobs by playing the 544 Club and other night spots on Bourbon Street, occasionally backing local celebraties such as Dr. John, Frankie Ford and the late Smiley Lewis. 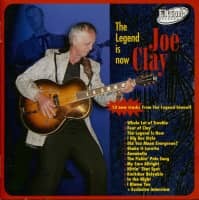 Nearly thirty years later America had forgotten Joe Clay but in Europe where old Rockabillies are sometimes treated with respect and reverence, his old records changed hands at alarming prices and reissues on RCA Great Britain and Bear Family introduced his name to a new audience born too late to rock the first time around. C.J. Cheramie carried on singing on his school bus and in Europe interested parties poured over the only known photo of Joe – a faded, indistinct, black and white print of Clay standing alongside Presley at the Louisiana Hayride – and wondered if he was dead or alive. After years of searching, an English Rockabilly fan returned from the States bearing news that Joe Clay had been seen playing guitar in a local band in New Orleans. After weeks of frustration, the British Rock'n Roll Promoter 'Wild' Willie Jeffery was able to arrange a concert tour with shows in England, Holland, and Sweden. 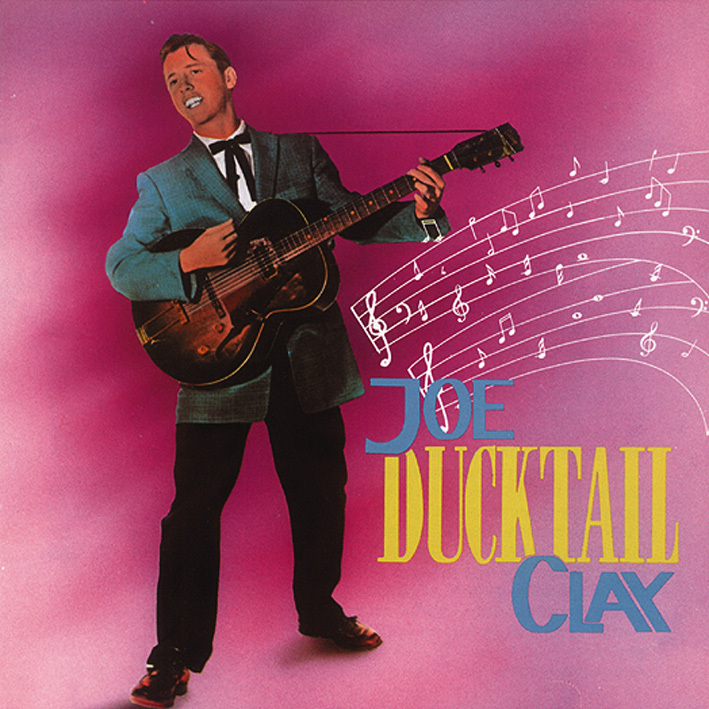 This album contains the complete recorded works of Joe Clay. It is savage, wild, primeval Rock'n Roll music guaranteed to start your feet tapping and to get you up and on to the dance floor. The future looks bright for C.J. Cheramie as he signs autographs on the school bus. Anybody who can sing - Did You Mean Jelly Bean, What You Said Cabbage Head deserves to succeed. Kundenbewertungen für "Duck Tail (180gram vinyl)"